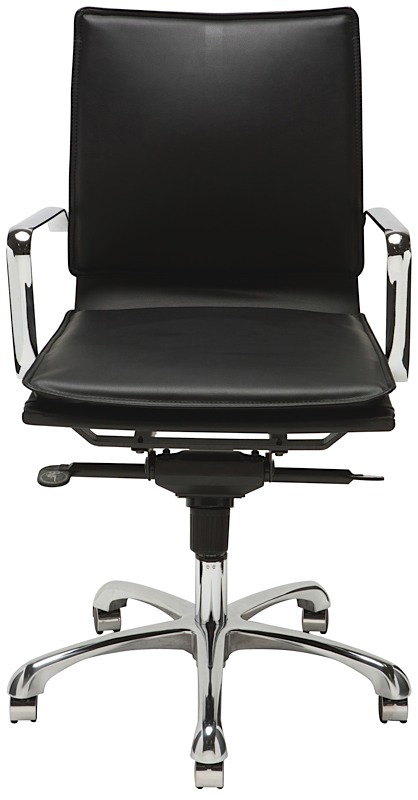 Simple, beautiful, and made with impeccable craftsmanship, the Carlo Office Chair is for those that appreciate high quality furniture design. 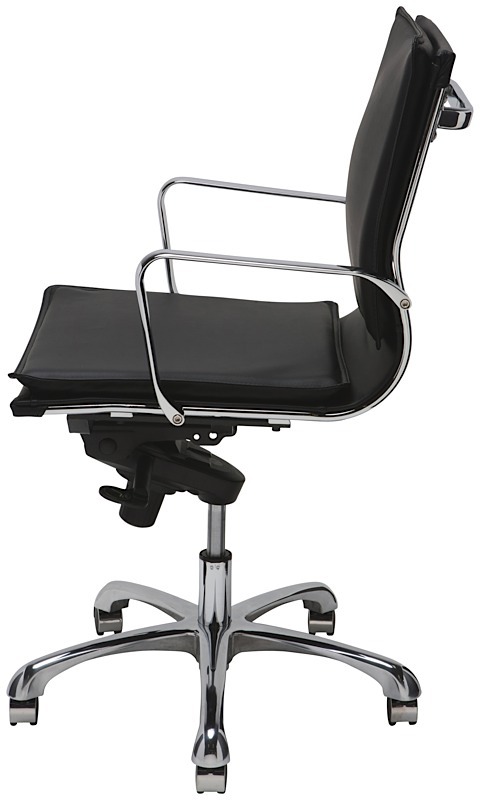 Carlo features a chromed-steel frame and base, gas lift mechanism with 2.75" of travel, and five chrome capped castors for mobility. 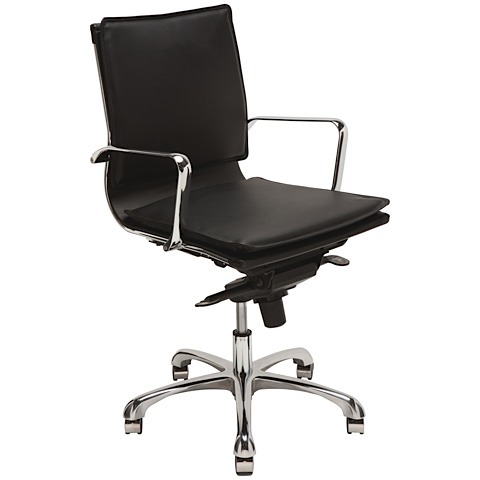 The Carlo Office Chair is upholstered in black leather and the back rest is double padded. 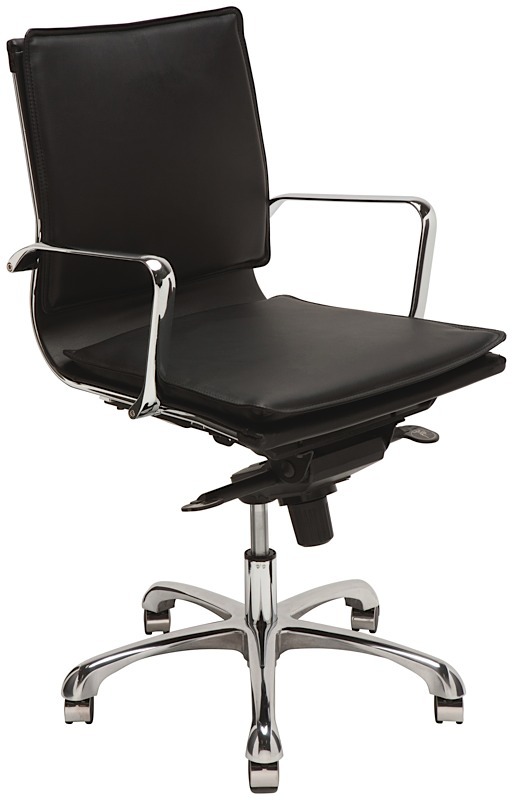 Carlo is commercial rated so it's ideal for both residential and contract applications alike.